This has been a notch we had wanted to cross of our list for many years. 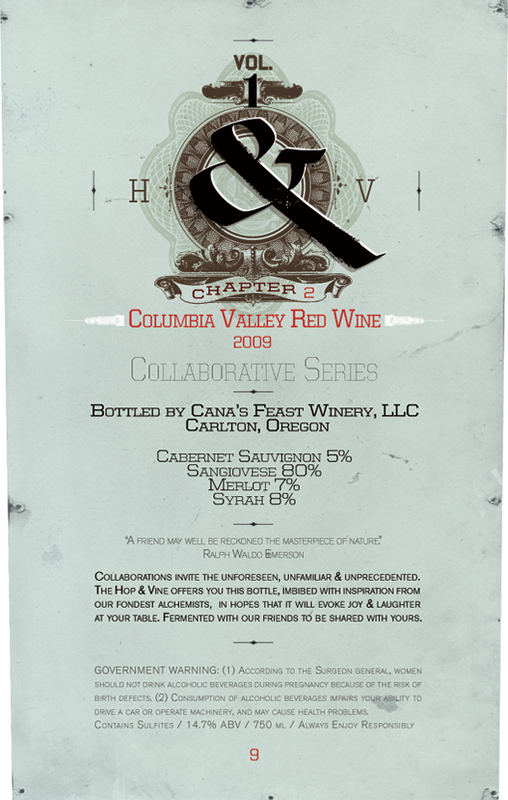 Designing a series of wine labels always had a creative allure to it. What’s made this even more enjoyable to work on is that they are for a dear friend and her highly successful in only 3 years, bar/cafe and bottle shop. 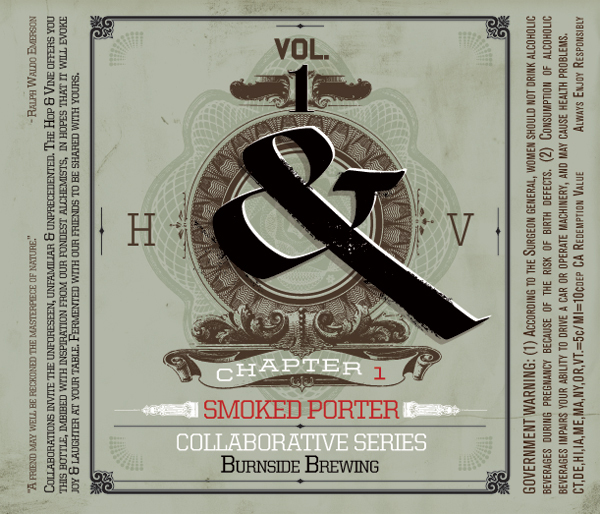 The Hop and Vine in North Portland is carefully curated and its our pleasure to contribute to this thoughtful business. The owner, along with chef and the knowledgeable wine buyer have embarked on a series of collaborations with local wine and beer alchemists. As the series implies, “&”, illustrates the collaborative effort on behalf of numerous individuals working together to provide a product that is intended to be enjoyed together. We as the designers also contributed in the copyrighting, and the series title. The first 2 bottles are scheduled to be released around March 2012. After that, a total of 4 wines and 4 beers will be produced over the year for the first Volume.